Lines Collection is about the artistic ability to create beautiful drawings and paintings using lines. With one or two lines strokes they can create graceful pictures, a figurative drawing or even sent an important message. Artist have a creative gift. This Lines Collection is wrought on the extremes, to make a dynamic look on the sterling silver wire. 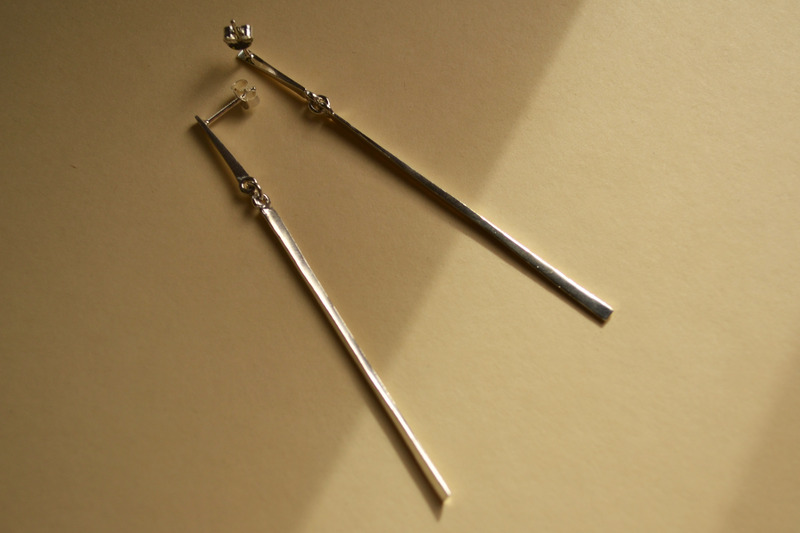 This earrings are the simplest long ones of the collection. They are thought in the less is more concept, they are those basics essentials in your jewelry box. They stylize your face and makes you feel really elegant.